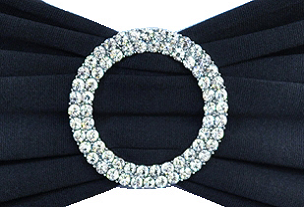 Add glamour with a rhinestone buckle! Approximately 2" in diameter. Buckle only - chair cover and sash not included.